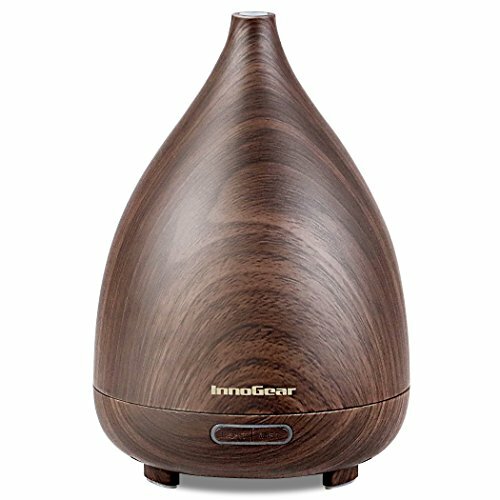 Elegant Design：With natural wood grain look and impressive vase shape, this aroma diffuser builds up a soothing and simple style of Zen décor in your office and home, bringing relaxation and tranquility to your life. Optimized 200ml Capacity: Compact and simple, not get in the way, this essential oil diffuser is perfect for home use. Whisper Quiet: Ultra quiet, no beep sound when pressing button, just cool and smooth mist benefits your overall physical and emotional well-being. 2 Misting Modes Options: Continuous/ intermittent mist mode with waterless auto shut off system. High Quality Materials: BPA free PP and ABS materials make you feel at ease to use.